ANZAC Day is perhaps one of the most important national days of remembrance in New Zealand and Australia. ANZAC Day is a national holiday in both Australia and New Zealand to commemorate the soldiers you who served in all wars or conflicts throughout history. ANZAC Day falls on 25th April, the day in which Australian and New Zealand forces first landed at Gallipoli, Turkey during the First World War. The ANZAC’s (Australian and New Zealand Army Corps), together with forces from Great Britain, British India and France, landed at Gallipoli on 25th April 1915, in an attempt to recapture Constantinople, now Istanbul, which was under the reign of the Ottoman Empire, who were allies of the German forces. Though the landing was unsuccessful, with considerable casualties numbering in their thousands, the attempt became a powerful symbol to Australia and New Zealand, highlighting the bravery of the men who had lost their lives in the battle. Istanbul and imageries of an expansive metropolis with an astonishing cultural and architectural heritage comes to mind. Visitors will find a melting pot of Eastern and Western history spanning some 2,000 years in a city that is ancient yet modern. The largest city in Turkey is not only one of the most popular locally but a favourite destination for international tourists. Didn’t manage to book yourself on one of our ANZAC Day tours this year and are wondering what you missed out on? Well don’t worry, because we’ve got a treat for you today! 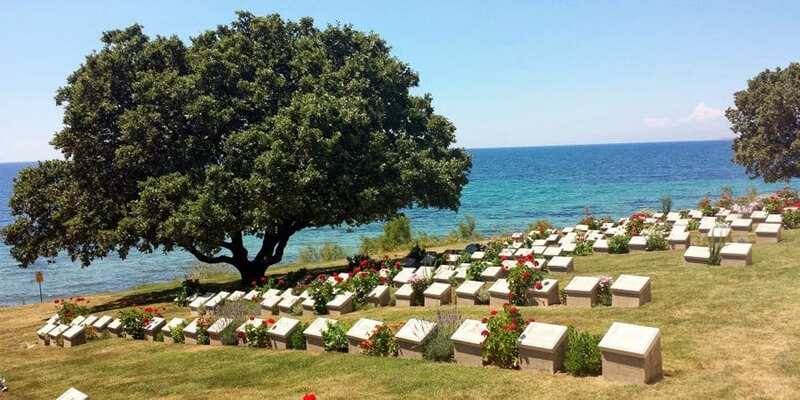 “Since I can remember, I always wanted to go to Gallipoli for ANZAC Day. It means so much to Australians and New Zealanders and it is a special date in all of our hearts, so to experience this day and pay respects to the fallen soldiers was truly a memory that I will never forget. Being my first time to Turkey, I wanted to experience everything the country had to offer, so I booked a 10 day Travel Talk tour which took me to the most beautiful cities in Turkey.